Quick Facts It takes around 1 minute to signup and submit your order! 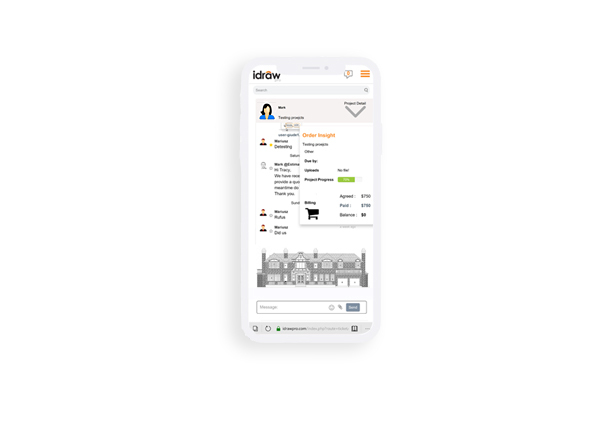 Get started, select category, briefly describe your project, upload files, hit submit button, get assistance from a live agent, get free quotes, approve the price and let us do the rest. Briefly describe your needs, upload files hit the "submit" button, we will reply instantly. 3. Pay for completed work. Pay safely using our secure payment system with mutliple options to choose at checkout. What Services Can I Order? We can tackle a wide range of projects—big or small, one-off or repeat. 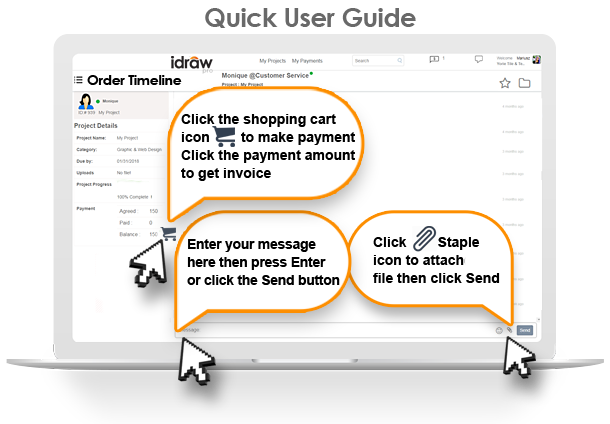 Idrawpro makes it fast, simple, and cost-effective to order top services with just a few clicks from the comfort of the desk. Pay with confidence when your order is complete! For new customers a deposit payment can be a best practice to earn trust before continuing on with the project. We accept payments made with major credit cards, PayPal, bank transfers and checks. Choose your preferred payment method at checkout. All Credit Card charges are pending your order completion meaning that you will not be charged until your order is complete and approved. 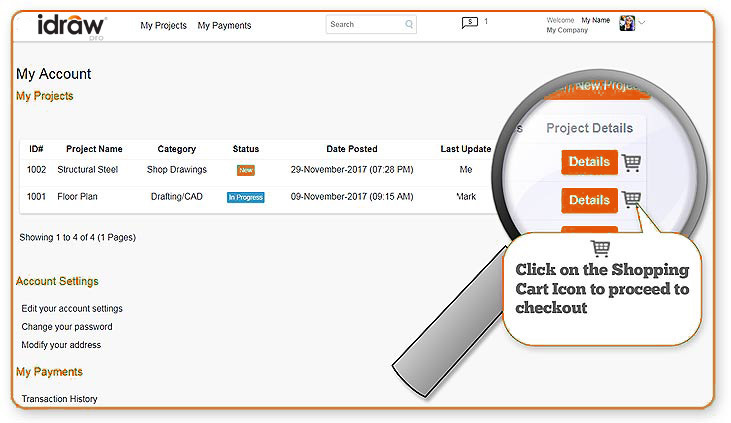 Click the Shopping Cart icon (appears when you have a balance to pay at your Project List page or at your Project Details page) to proceed to order review and checkout. See the infographic below. We accept VISA, Mastercard, American Express, PayPal, Check, Bank Transfer. 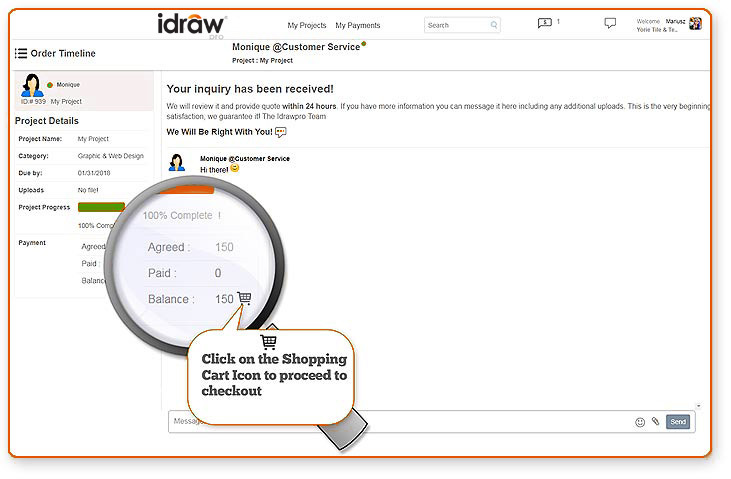 Payment by check may require confirmation of check clearance prior to release of full work for new customers. 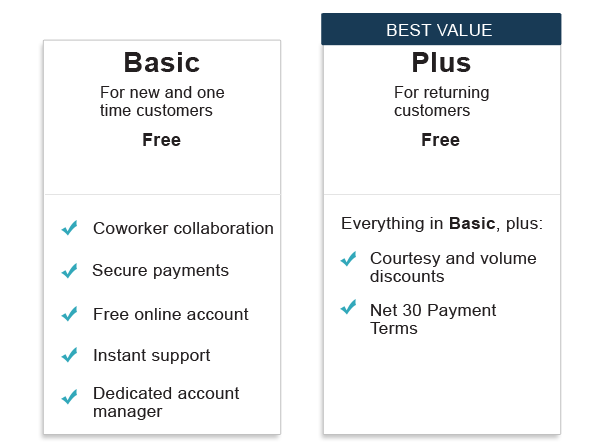 What Is the difference between Basic and Plus account? How to get Idraw Plus? just order regularly and you will be enrolled automatically with no additional fees! All Credit Card transactions are processed directly by Stripe or PayPal (we do not store your financial information).